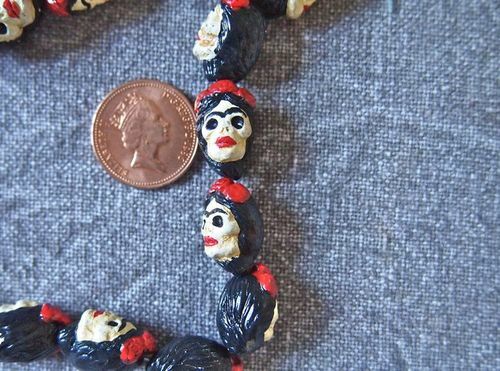 Our ceramic day of the dead skull beads are handpainted in Peru. 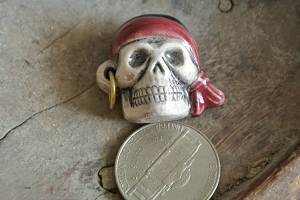 The bead measures 11x17mm and has a vertical 2mm hole. 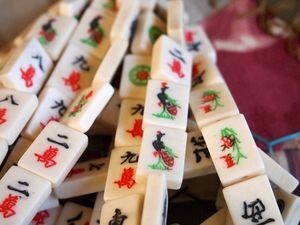 The beads have a finished back and are nicely handpainted. 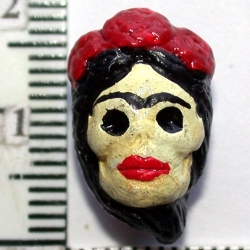 This is a Frida Kahlo day of the dead skull head bead with brunette hair and a unibrow. Sold individually.